EEI has been engaged on Wake Island since 2001, providing extensive engineering assessment and design services. The first round of project designs (Phase 1) was authorized and $30 million of construction was completed by 2006. Shortly after acceptance, a super typhoon devastated the island, resulting in the delay of the second round of SRM projects (Phase 2). In 2008, DESC authorized completion of the project designs for Phase 2 work. EEI completed the work and assisted PACAF in the final project configuration assembly in 2009. Advertisement will be first quarter FY 10 with award early second quarter. EEI was responsible for the engineering of all facility assessments, design and construction support services for over 30 POL-related projects at Wake Island Air Field including a new 1,800 gpm pumphouse, receipt filtration, bulk transfer facility with filtration, truck fill stand, pier upgrades, pipelines, firewater pumphouses, dike upgrades, repair of two operating storage tanks, repair of two 100,000-Bbl bulk storage tanks, cathodic protection, pressure relief evaluation of cross island pipeline, API 570 engineering evaluation of cross island pipelines, and gauge, geometry and corrosion pigging of the JP-5 pipeline. The Phase 1 project construction and design team received the 2007 Build Hawaii Award of Excellence from the General Contractors Association of Hawaii. The POL facilities designed by EEI were some of the few infrastructure systems to survive the super typhoon. The mission critical fueling systems were placed back online when the first restoration team arrived on site. 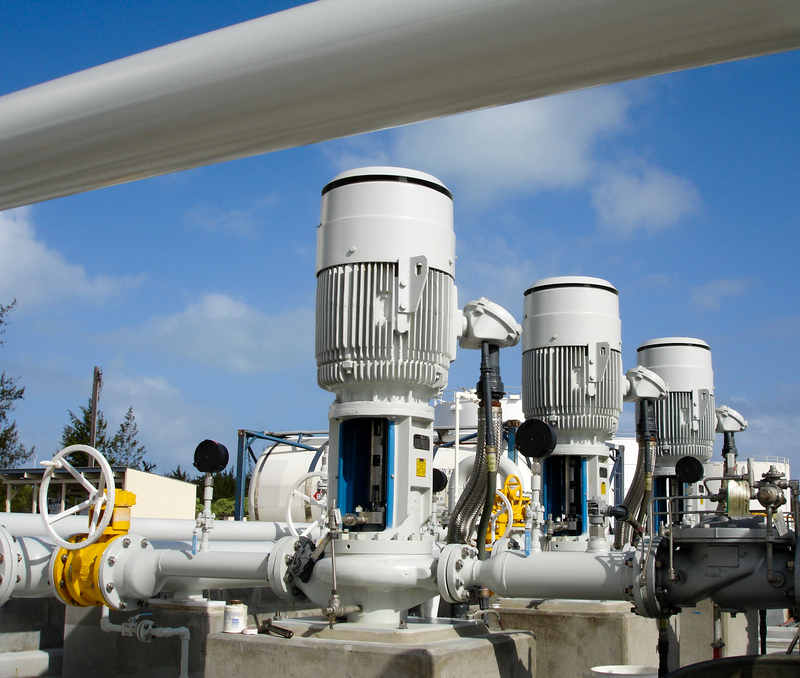 In fact, the emergency generator included by EEI in the Phase 1 projects, was the first to run on the island and feed critical loads until additional temporary power could be brought on island. In May 2008, EEI performed a survey of the POL systems to review, verify, and update existing design documents that were in place prior to the typhoon. While onsite for this assessment, pigging of the 8-inch receipt line and 6-inch cross-island piping was conducted with successful results. In addition, API In-Service Inspections of Tanks 28 and 29 were performed and limited inspection of Tanks 31 and 32 and Coating Evaluation were performed. Repair JP-5 Cross Island Pipeline – This project repairs pipeline corrosion anomalies, substandard components, pipe supports, and pressure relief of the JP-5 pipeline system inclusive of the cross island transfer pipeline, Area 1500 tank piping and Area 1800 based on findings and recommendations identified during field investigations and inspection programs. Repair JP-5 Cathodic Protection Systems – This project provides for the repair / replacement of rectifiers, anode beds, dielectric gaskets, flange protectors, galvanic anodes, aluminum anodes at pier, and test stations. Following repairs, a complete cathodic protection survey will be performed along with training for base personnel and issuance of a compliance report. Area 1800 Electrical and Provide Fire Alarm – This project provides electrical repairs at Area 1800 that were deteriorating or inoperable. Repairs included a bulk tank level alarm panel, site lighting, transfer switch for portable generator, and new fire alarm system. Repair Area 1800 Firewater Pumphouse – This project was originally designed in 2005 and included raising electrical components inside of the pumphouse to a height above the highest recorded storm surge level and providing an aboveground stainless steel fuel tank within the building. After the super typhoon, the project was reconfigured to include a portable diesel driven, fiberglass self priming centrifugal pump, plus modifications to the hydrant fire water distribution system. By doing so, the fire pump can be relocated to higher ground when needed. Repair Fueling Pier – EEI performed an above water inspection including examination of structural elements to identify and quantify structural defects requiring repair or rehabilitation. Based on the inspection findings, the tieback system steel channel wale is being replaced, the steel sheet pile coating system is being replaced, and the timber fender system is being replaced with a synthetic fender system. Repair JP-5 Truck Fill Station – This project provided for a single position truck loading facility with impervious containment, metering of fuel, truck loading valve with deadman control, hoses with D-1 nozzle, and a simplified return to bulk connection. The fueling position containment will be connected via hard piping to the refueler containments thus, providing adequate containment volume at the fueling point. Due to the remote site and extremely expensive concrete construction, prefabricated fiberglass coated steel containment systems were specified to reduce both shipping and installation costs. Refueler Parking – Provide parking area with containment for six R-11 Refuelers or a combination thereof. The containments use pre-manufactured steel components as noted for the truck fill station. Containments will be piped together to allow adequate containment volume. Area 1500 Canopies – These projects will provide canopies for Area 1500 receipt filter / separator and Area 1500 pumphouse. Canopies are designed for an 80 mph windstorm with covers that can be easily removed and reinstalled for a higher velocity windstorm.